Apologies for the delay in the sending of last week's newsletter — we ran into some technical difficulties on Friday. Back to our usual schedule later this week. Apache OpenWhisk Adds Native Support for Ruby — Ruby has been a long overlooked language when it comes to serverless but OpenWhisk, an open source serverless system, has now added native support. FaaStRuby is another interesting experiment in the serverless Ruby world right now, too. AWS Lambda Introduces Support for PowerShell Core — Execute PowerShell scripts or functions in response to any Lambda event. Ideal for those in the .NET world. 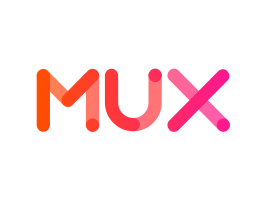 Live Stream Video at Scale with Two Simple API Calls — Mux Video takes the pain out of video encoding and streaming with a simple API to data-optimized live and on-demand video. Get up and running in minutes, not months. By the creators of Zencoder, Video.js, and Demuxed. Running End-to-End Tests as Google Cloud Functions — Now that Google’s Cloud Functions service supports running headless Chrome without any setup, it could become an interesting way to run end-to-end tests in the cloud. Build and Deploy Functions to Cloudflare’s 152+ Data Centers with the Serverless Framework — Support for Cloudflare’s Workers platform is now integrated into the popular Serverless Framework. Extending AWS CloudFormation with AWS Lambda Powered Macros — CloudFormation Macros allow developers to extend the native syntax of CloudFormation templates by calling out to AWS Lambda powered transformations. How to Deploy OpenFaaS on DigitalOcean with Ansible — A straightforward guide. This may be of interest if the Ruby news (above) has you itching to deploy Ruby-powered serverless functions. How We Saved Big by Building CloudForecast with Serverless and AWS Lambda — A brief celebration of going serverless to launch a new AWS cost tracking service quickly. Serverless: Cold Start War — An attempt to benchmark ‘cold starts’ across AWS, GCP, and Azure, although as with all benchmarks, take care.